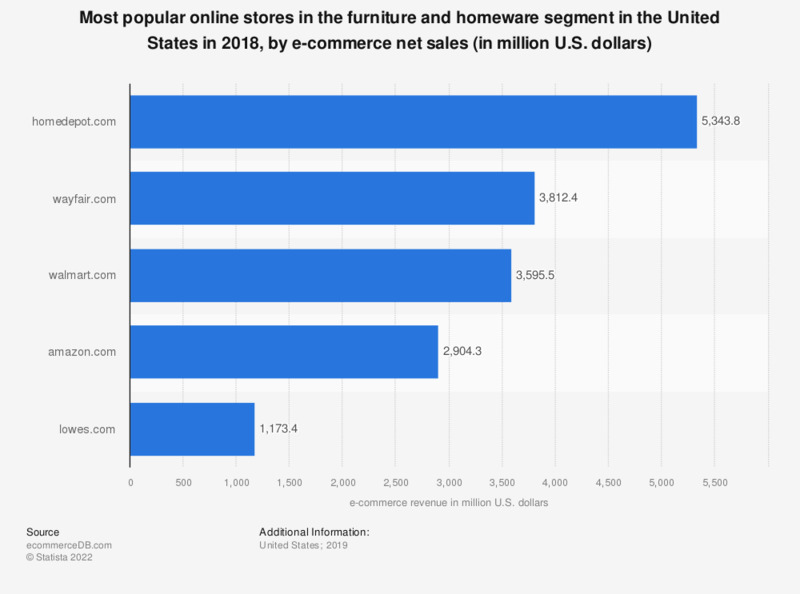 This statistic presents a ranking of the most popular online stores in the United States in the furniture and homeware segment in 2018, sorted by annual net e-commerce sales. In 2018, market leader homedepot.com generated 4,2 billion U.S. dollars via the sale of furniture and homeware in the United States. The online store wayfair.com was ranked second with a revenue of 3,8 billion U.S. dollars. The e-commerce market category “Furniture & Homeware” includes the online sale of furniture, kitchens and household goods such as kitchen and bathroom accessories, textile furnishings, lamps, decoration, candles, pottery and china. Electronic household appliances are not included in this market category. In the past 12 months, which products did you sell over the Internet to an individual?